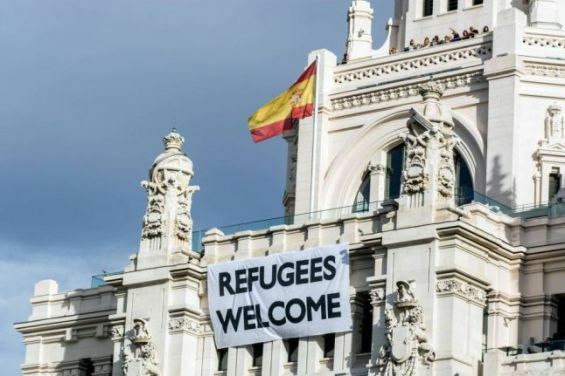 Madrid cannot deport Moroccan migrants who have applied for political asylum in Spain. The number of applications submitted in the country grew from 531 in 2017 to 765 in the first eight months of 2018. The number of Moroccan nationals who are seeking political asylum in Spain has been on the rise. About forty people, from the Rif, have applied for political asylum to join the Iberian country, indicates Spanish TV channel Canal Sur and newspaper El Pais. The applicants, who arrived at the Motril port on Monday, October the 8th, are considered «Hirak activists who fled the repression of Moroccan authorities». They need one month to conclude their applications with the Spanish Interior Ministry. Once they are completed, they won’t be expelled to Morocco. El Pais believes that the applicants are unlikely to be granted asylum. «The inhabitants of Morocco do not win asylum cases. We know that the majority of them apply for asylum in order not to be expelled», said Spanish State Secretary for Migration Conseulo Rumi on October the 3rd in Rabat. Since the emergence of Hirak movement in the Rif, only one activist from the region managed to get political asylum in July. The winner is a 33-year-old Al Hoceima-native who left Morocco for Ceuta. Other applications submitted by other Moroccan nationals, including those who claim that they are homosexual, were rejected. Migrants are informed «by lawyers or by anyone» of the benefits of applying for political asylum, according to a source in the Unified Police Union, who spoke to El Pais. This explains the skyrocketing asylum applications submitted by Moroccan migrants to the Ministry of the Interior: The number grew from 531 in 2017 to 765 during the first eight months of 2018, accounting for 44%. This figure does not include the forty Riffians who arrived this week in Motril. For the record, the number of migrants entering Spain, illegally, through the Western Mediterranean route has significantly increased in 2017, said the European Border and Coast Guard Agency (Frontex) in a report made public in March. According to the agency of the European Union headquartered in Warsaw, Poland, although the detections of illegal border crossing at the EU’s external borders dropped in general, moving from 511 046 in 2016 to 204 718 in 2017, the Western Mediterranean route, located in Northern Morocco, remains heavily used by the migrants wishing to step on the European soil.